Since the beginning of 2010 there have been a total of 56 sales over $10,000,000. The breakdown is 48 single family properties, 5 parcels of vacant land and 3 commercial properties. Atlantic East represented sellers or buyers for 3 of the last 7 sales over $10,000,000. 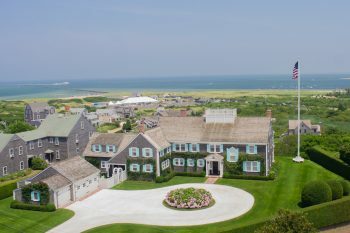 Things these properties had in common: 84% of these sales were located directly on the ocean, Nantucket Harbor or the sound. Those properties that had structures had an average living area of around 7,000 square feet. The average time on the market is 258 days for these closed sales. *YTD through 9.13.17. There are currently 3 additional properties listed over $10 million that are under contract, expected to close in 2017.